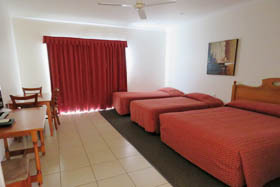 Comprising of 16 Motel Rooms some with Spas. Apartments are suitable for both long and short term stays, fully furnished with a full sized kitchen.Surounded by lawn and gardens with a lovely swimming pool. We have a Indian / Australian Restaurant which is opened 7 days a week for dinner. Also does breakfast for guests. Licensed bar, BBQ in grounds. 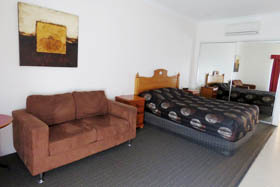 Motel rooms contain a queen bed and spa bath. 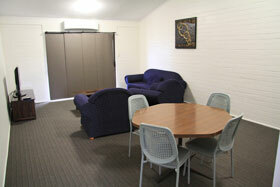 There is a flat screen TV with Foxtel, air-conditioning throughout, an inside and outside dining area. Coffee and tea making facilities also in the room. Located on the ground level. This motel room contains two queen beds and a spa bath. 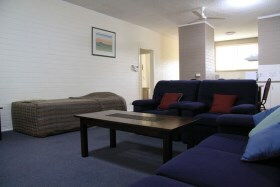 There is air-conditioning, inside and outside dining areas, flat screen TV with Foxtel and coffee and tea making facilities. Rates are for 1 person or a couple using 1 bed. 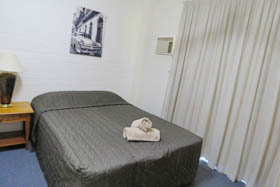 Standard rooms have a queen bed, flat screen TV with Foxtel, inside and outside dining settings, split system air-conditioning, coffee and tea making facilities. Located on the ground floor. 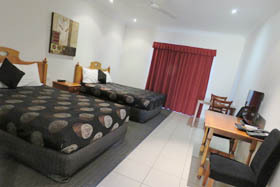 Our Family/Disabled rooms contain a flat screen TV, coffee and tea facilities, Foxtel, split system air-conditioning, inside and outside dining settings as well as large bathrooms catering for the disabled. Rates are for 1 person or a couple using 1 bed. Located on the ground floor. Our studio rooms are located both ground level and upstairs, are fully self-contained including a full kitchen. There is split system air-conditioning and a flat screen TV. These rooms do not have Foxtel. These large family units are located on both ground level and upstairs, containing two queen beds. Fully air-conditioned. 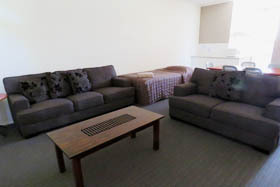 The apartment is fully self-contained and a 42 inch flat screen TV, no Foxtel. Under cover car parking available. Rates are for 1 person or a couple using 1 bed. Located on the ground floor, this apartment contains one double and three king single beds. 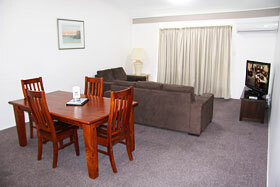 The apartment is fully self-contained, air-conditioned throughout. Ideal for families. Rates are for 1 person or a couple using 1 bed. Flat screen tv no Foxtel. This apartment are both on the ground level and upstairs, containing one queen and two king single beds. 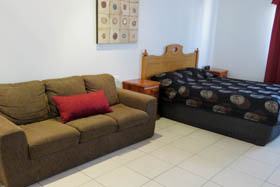 The apartment is fully self-contained, air-conditioned throughout. Flat screen TV, no Foxtel. Ideal for families. Under cover car parking available. Rates are for 1 person or a couple using 1 bed. Located on the ground level, fully self-contained apartment contains one queen and three king single beds. There is a flat screen TV, no Foxtel. Air-conditioned throughout, under-cover car parking. Ideal for families. Rates are for 1 person or a couple using 1 bed. 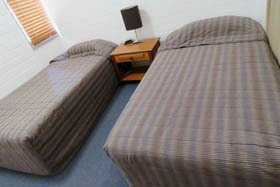 Located upstairs, these apartments contain two double and two king single beds. They are fully self-contained, air-conditioned throughout. Flat screen TV, no Foxtel. Large unit ideal for families. Rates are for 1 person or a couple using 1 bed. Unit is located upstairs. Located upstairs, this apartment contains two queen and one king single beds. 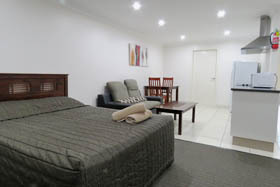 The apartment is fully self-contained with air-conditioning throughout. Flat screen TV, no Foxtel. Ideal for families. Rates are for 1 person or a couple using 1 bed.